Why Visit South & Central America? Latin America offers a little of everything, from tropical beaches, jungle and ancient archaeological sites to exotic wildlife, soaring mountains, glaciers and fjords. From Mexico and Costa Rica to many of South America’s top highlights, these guided adventures will bring you into worlds unlike any other. This 15-day tour features it all, including dazzling white sandy beaches framed by crystal-clear azure waters, ancient Mayan cities, waterfalls, volcanoes, elaborate churches and fascinating museums, along with the fabulous flavors of Mexico. In Mexico City, tour highlights like the National Palace and the Metropolitan Cathedral, and the sounds of mariachi music. Explore Aztec ruins in the ‘City of the Gods,’ wander through Puebla’s city center, a UNESCO World Heritage site with grand colonial architecture and a diverse blend of cultures. Marvel at the Cathedral of Puebla with its twin towers, the tallest in the nation, before venturing to Oaxaca, a largely unspoiled areas famous for its mouthwatering cuisine, vibrant festivals, architectural treasures and cultural gems, all surrounded by the Sierra Madre del Sur Mountains. You’ll journey to Cristobal de Las Casas with its cobbled streets and red-tile roofs tucked high in the mountains, and explore Mayan villages tucked into the highlands, where locals don cultural dress as they go about their more traditional way of life. 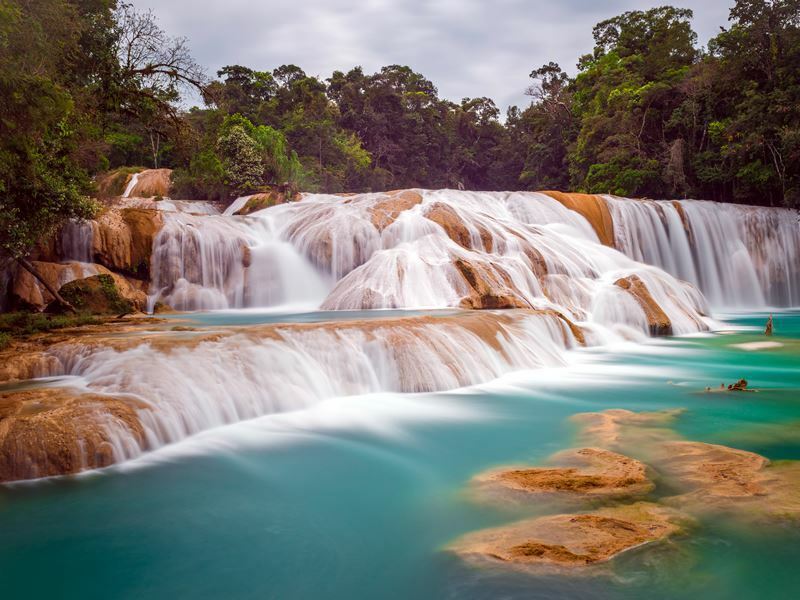 Swim beneath a waterfall, visit an archaeological site where you’ll hear the calls of the howler monkeys echo through the jungle and walk through an exotic bird sanctuary. There are still more ancient temples and ruins to see before enjoying a grand finale: an unforgettable dip in the jewel-like turquoise waters of a cenote and spend time relaxing on the white, powdery sand beaches of the Riviera Maya. Highlights: Descending into the deep natural pool known as a cenote, hidden underneath a frame of lush jungle feels like stepping into another time, or perhaps onto an entirely different planet. 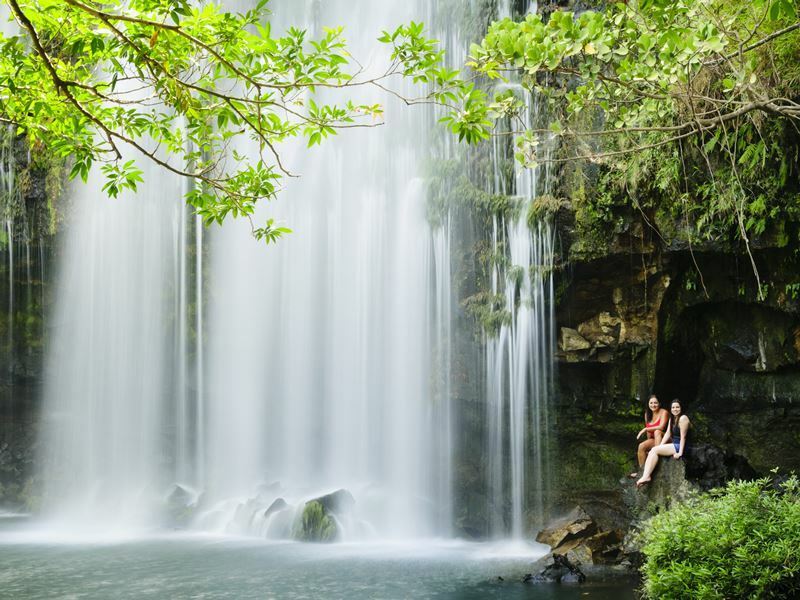 One of the world’s best destinations for nature and wildlife lovers, Costa Rica offers it all for in this eco-friendly 14-day-tour. Explore lush jungles filled with sloths, four types of monkeys, tropical birds like toucans, crocodiles, butterflies, tapirs and anteaters, and from its beautiful Caribbean beaches, the occasional migrating whales and countless dolphins. Experience authentic local culture in the streets of San Jose before taking a guided kayak tour through Tortuguero National Park, glimpsing wildlife along the way. Opportunities for outdoor adventure abound, including zip lining, guided nature hikes, surfing and horseback riding - be as relaxed or as active as you want to be. Visit a coffee farm to learn about how some of the tastiest coffee in Central America is produced before spending your last few days of along the coast. Watch for whales and dolphins in season, and embark on a day trip to one of the nation’s most revered parks, Manuel Antonio with its renowned beaches, nature trails, and common sightings of sloths and monkeys. Highlights: Capturing photos of exotic wildlife like toucans, monkeys and sloths in their own natural habitat makes for the ultimate souvenirs to bring back home. This 15-day holiday in Peru covers it all. One of South America’s most popular destinations, it offers everything from the lively cities of Lima and Cusco to Lake Titicaca and its floating islands, colonial monasteries, one of the world’s greatest mysteries, and one of the planet’s new Seven Wonders: Machu Picchu. Begin in the capital city of Lima with its alluring architecture that includes Spanish palaces and ornate cathedrals, as well as eerie catacombs. View Peru’s own version of the Galapagos, Isla Ballestas with its Peruvian Boobies, Humboldt penguins, sea lions, some 1,500 species of marine birds and other unique wildlife. 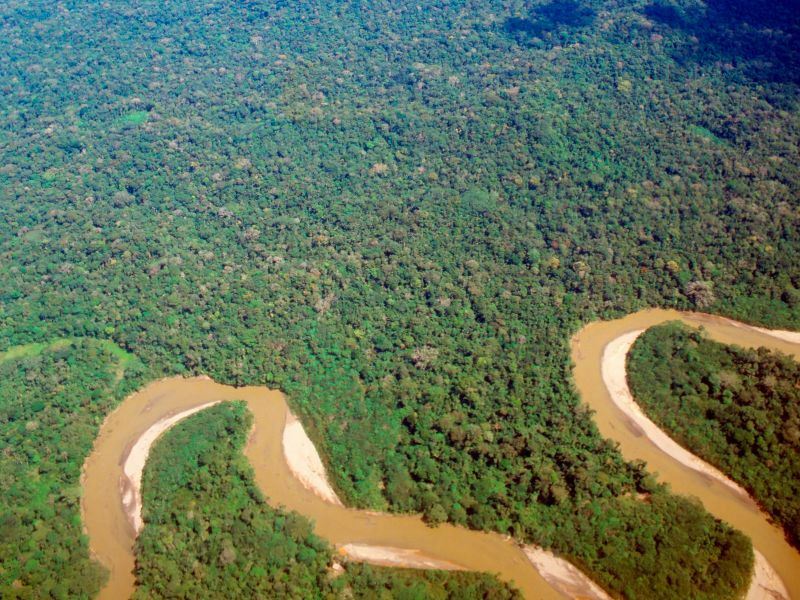 You’ll even get to fly over one of the mysteries of human civilization, the more than 70 “Nazca Lines,” with detailed animals like monkeys, fish, birds and llamas, that as of yet, no one knows how the primitive Nazca people could achieve such a feat, and on such a grand scale with no way from viewing them from above? The fascinating journey continues by sailing across Lake Titicaca to the floating islands where you’ll learn how the Uros people live. 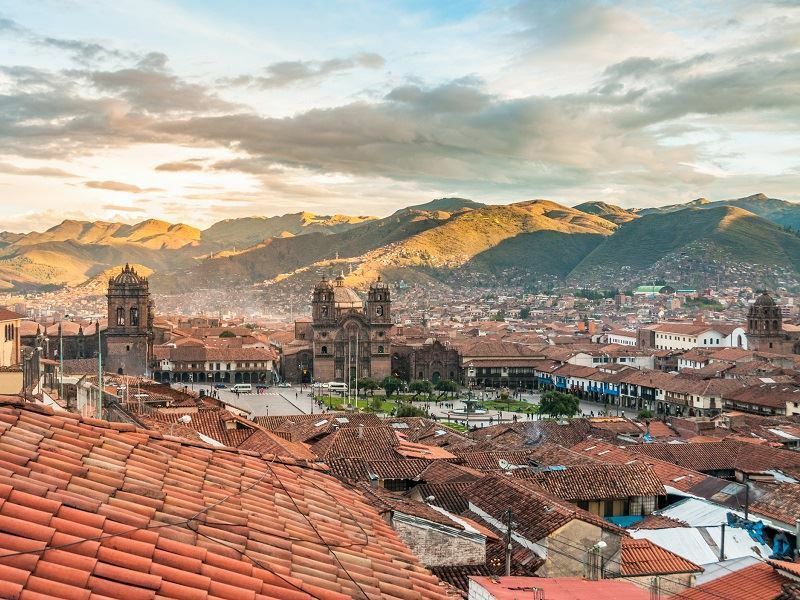 Walk the cobbled streets of Cusco, taste locally-made chocolate and get ready for a trip of a lifetime to the Sacred Valley. Take the train followed by a hike and a bus ride, where the incredibly inspiring view of Machu Picchu awaits, wandering through the former palaces, temples and living quarters all set up against a backdrop of lush, craggy peaks. 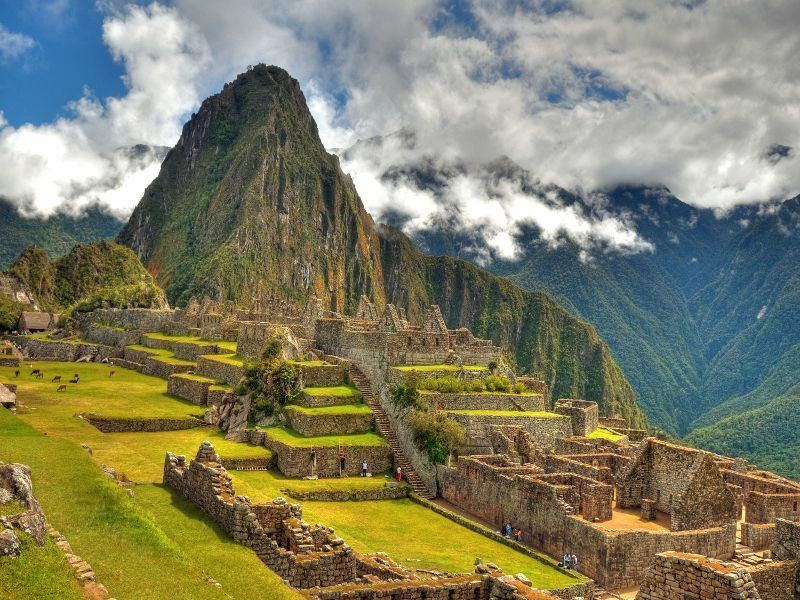 Highlights: Gazing at the wonders of Machu Picchu is a humbling experience that will leave you in awe, and with many questions – was it built as an astronomical observatory or as a retreat for the Incan nobles? The largest country in South America is best navigated by escorted tour, bringing visitors to Brazil’s highlights, from salsa dancing in the streets and legendary beaches in Rio de Janeiro through rich colonial history and breathtaking, wildlife-filled scenery. Stroll the romantic cobblestone streets of Paraty lined with impeccably-preserved colonial buildings and take part in outdoor adventures like horseback riding, kayaking, snorkeling or diving. Feel the spray of mighty Iguazu Falls from both the Brazilian and Argentinian sides, including a boat tour that will get you close to the powerful cascades. 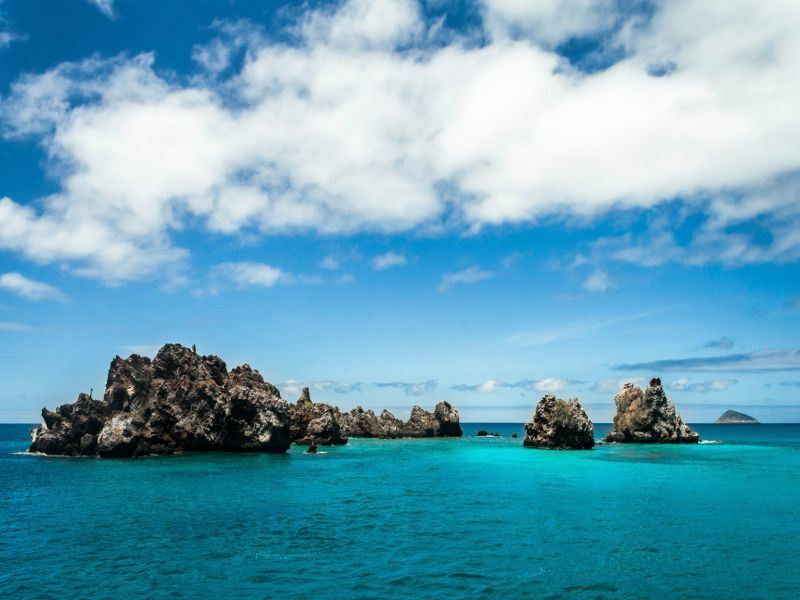 Bonito brings the chance to explore underwater caves, swim in natural pools and witness nesting macaws. You’ll be immersed among wildlife in one of the world’s largest wetlands, Pantanal, with its jaguars, giant otters, howler monkeys, colourful birds and more before enjoying a final night on the town back in Rio. Highlights: Marveling at Iguazu Falls from various perspectives and witnessing wildlife you’re unlikely to see outside of a zoo at home are just two of the highlights of this amazing journey. A veritable living museum, the Galapagos is an archipelago that lies in relative isolation, allowing Mother Nature to create mammal, reptile and bird species that exist nowhere else on the planet. A trip for the entire family, kids and adults are amazed with the nearly endless opportunities for close encounters with many different types of animals from penguins to giant tortoise that live up to 200 years old to blue-footed boobies and sea lions. This 8-day tour includes swimming among friendly sea turtles and sea iguanas, and even playing with sea lion pups in the calm, shallow water. Learn more about Charles Darwin’s work, devising the theory of evolution at the Charles Darwin Research Station and Interpretation Center, spend family time on the beach and explore the beautiful capital city of Quito, nestled high in the Andean foothills at an altitude of 9,350 feet. Here you can even “walk the line,” the equator line that is, at the Intinan Museum and take part in interactive attractions like trying to balance an egg on the head of a nail. Highlights: Does it get any better than swimming sea lion pups and sea turtles, or walking among tortoises so old they were around when 18-year-old Queen Victoria was crowned in 1837? This 14-day tour kicks off in the Argentine capital of Buenos Aires, one of South America’s most exhilarating cities where impromptu tango performances are frequently encountered on its European-style boulevards. 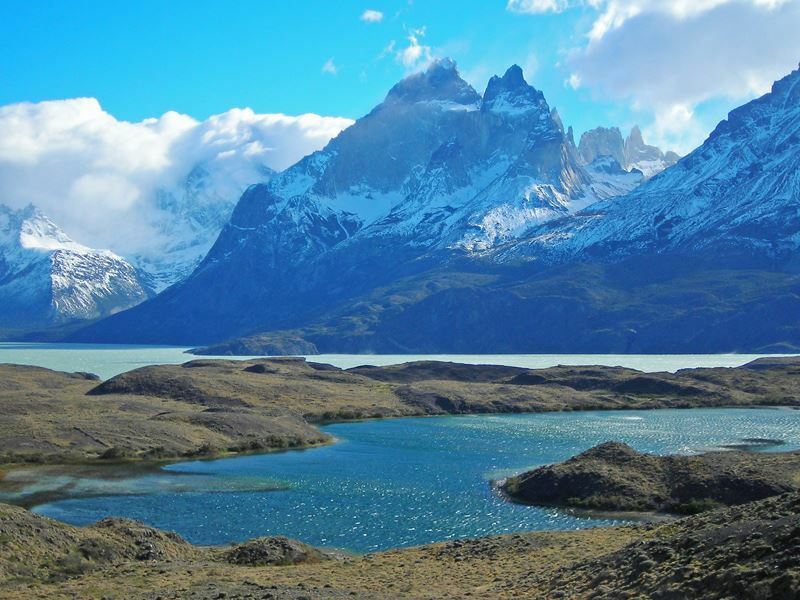 This guided holiday, however, is a true wilderness enthusiasts’ dream, travelling to the “end of the world” in Patagonia located at the tip of South America. Visit Puerto Madryn and the Peninsula Valdes, and embark on a whale watching excursion, with opportunities for close encounters from July through December. Sample of the freshest seafood in Ushuaia, the world’s southernmost city, before venturing into the wilds of Tierra del Fuego, bordered by the craggy peaks of the Andes and surrounded by glistening lakes and bays, dense forest and glaciers. Set sail for La Isla de los Lobos (Wolves Island) where you may be able to glimpse cormorants, penguins and sea lions, and hop aboard a sailing safari to get so close to vast icebergs and the walls of Perito Moreno Glacier you may be able to hear them crack. In Chile, you’ll be mesmerised by the dramatic Andes of Torres del Paine National Park, and its many glaciers, lakes and waterfalls before heading to Santiago, learning about its history while admiring the surrounding Chilean Coast Range and snow-capped Andes. 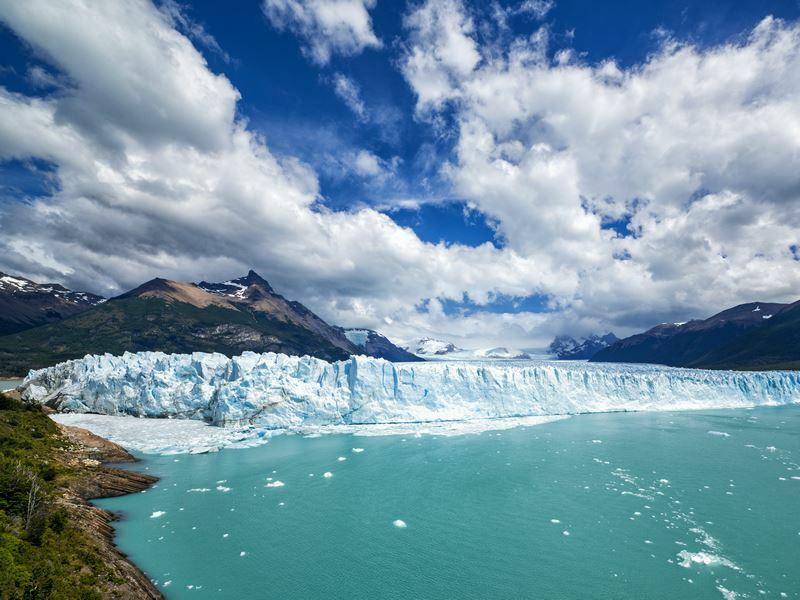 Highlights: Many travellers say the visit to Perito Moreno Glacier, listening to the thundering sounds of the massive ice chunks as they break off, crashing to the water below, is something they’ll never forget. This fascinating 4-day tour brings you to one of the world’s most fascinating yet bizarre destinations, the world’s driest desert, where rain has only been recorded falling a total of four times. Astronomers come to experience its nearly always cloud-free skies, the result of the extreme dry climate, along with adventurers and travellers of all types to witness the vast sand dunes and stone formations similar to the moon’s surface, giving it the name Calle de la Luna, or “Valley of the Moon.” Legendary for its extraordinary sunsets visitors can enjoy over this colourful valley, with the low light heightening the textures and deepening the red, green, yellow and even blue shades. 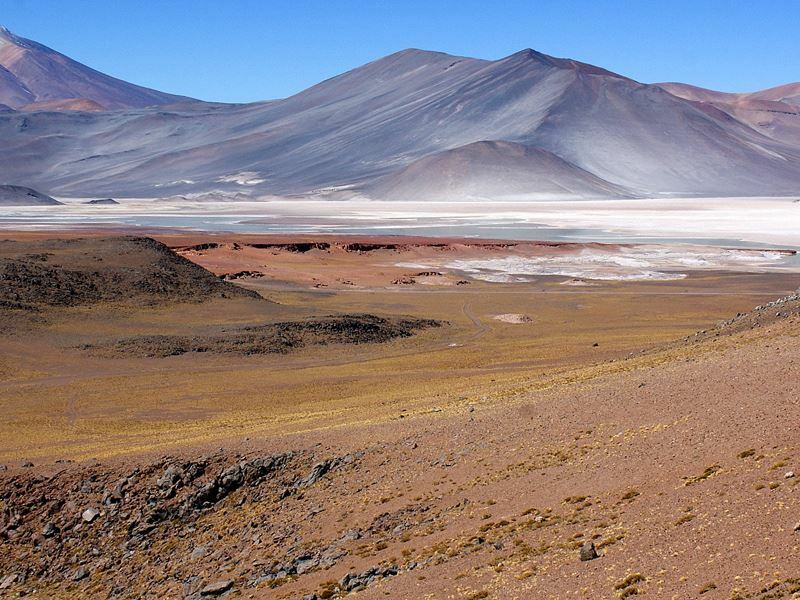 You’ll marvel at the Atacama Salt Flat, the largest of its kind in Chile and one of the largest on Earth, and venture to the Chaza Lagoon where several different flamingos roam, creating an awe-inspiring sight. Visiting the high-elevation villages of Menique and Miscanti, at nearly 14,800 feet, surrounded by volcanoes is also on the itinerary, as is viewing the world’s third-largest geyser field, El Tatio, home to the highest geysers on the planet which violently blast columns of steam from deep within the ground. Highlights: Gazing up at the gushing geysers and watching one of the world’s most amazing sunsets splash a rainbow array of colours over the sand is a remarkably surreal experience you won’t soon forget. In what feels like the edge of the Earth, you’ll spend four days that begin by sailing a stunning fjord, the Channel of Last Hope (Ultima Esperanza), and visiting the one-thousand-year-old glacier of Mount Balmaceda. Surrounded by sea lions and cormorants, it puts on an impressive show when its icebergs detach, a sight and sound few ever witness. At Torres del Paine National Park, granite pillars rise over 6,500 feet above the land where large herds of guanacos roam. A relative of the camel, the animals were nearly hunted to distinction, but today, the increasingly large herds are spotted so frequently that don’t even flinch when humans approach. Visits to Grey Glacier, Lake Grey and Lake Pehoe are also included, as is Milodon Cave, where the remains of a prehistoric animal were discovered in the last century. Highlights: It’s worth the journey to the “end of the world” just to view of the grand Torres del Paine, although feeling the rumble, seeing and hearing the thunderous noise as the huge chunks of ice plunge into the lake below is a true bucket-list experience. Easter Island is best known for its isolated Rapa Nui, who developed a distinct artistic and architectural culture that’s managed to weather the centuries. 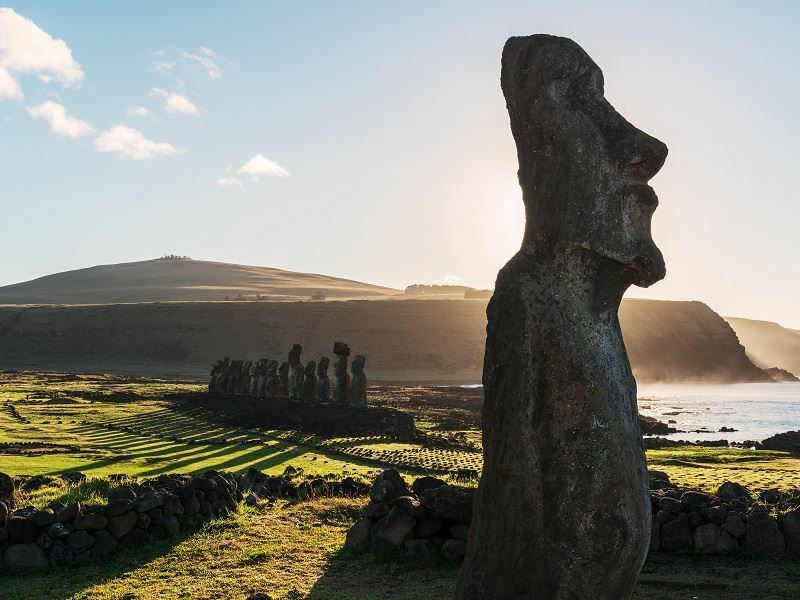 On this 4-day excursion, you’ll unravel the mysteries of the island’s top attractions, including the ruins of the temple of Akahanga, a tour of the archaeological site of Ahu Akivi and witness the massive moai statues that lie scattered about the land. At the volcano of Rano Raraku, you’ll see where the rock was carved to create the giant statues, and climb to the edge of the crater, peering at the lake inside and the moai, tossed about on its inner slopes. The tour also includes time on the beautiful beach of Anakena, and a dip in the azure sea, before visiting more volcanoes and a freshwater lagoon, along with the ancient ceremonial city of Orongo. Highlights: Witnessing the history of the Rapa Nui and coming up with various theories as to why they were constructed and how they transported them is something that will remain with you for all time.